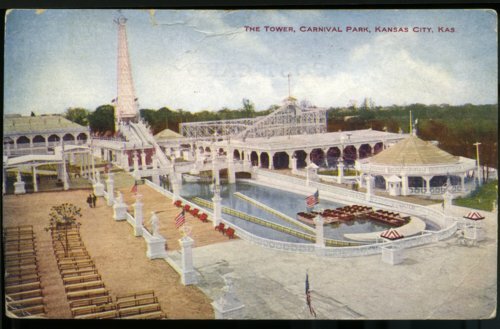 This is a postcard of the tower at Carnival Park in Kansas City, Kansas. The postcard was sent from G.H. Bateman to Charles E. Finkenbinder in Walla Walla, Washington.